Just joined this forum, I've been into rc's for a little while now as mainly as a basher with nitro & electric. Everything works fine, but because it's been sitting for so long 2 of the tires are ripped & flat. I'm in need of some replacement ones. If you can help please let me know. I may be wrong but I think thats a Marui? not a tamiya. Welcome to the forum gomesy. Yep. 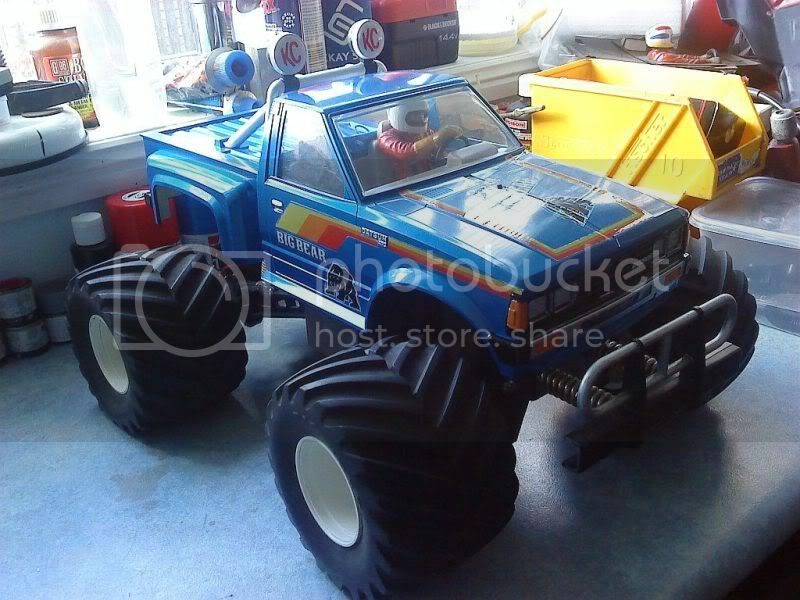 That's a 1984 MARUI Big Bear, the granddaddy of all the RC monster trucks!! Looks awesome! 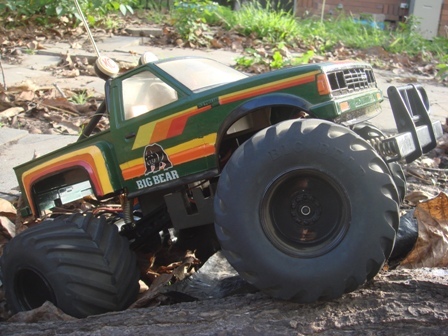 wolfdogstinkus, Thanks mate, I didn't know their were x2 different types of big bears.I hope to learn alot about vintage rc on this forum :)Thanks mongoose1983, im stoked with the truck ))commiedoor, That looks sweet mate ;-)top stuff! There's only one type of Big Bear AFAIK, and that's the Marui one. Tamiya never did one. Tamiya made the clodbuster in 1987. The mad bull is bulletproof, great fun and virtually indestructible. 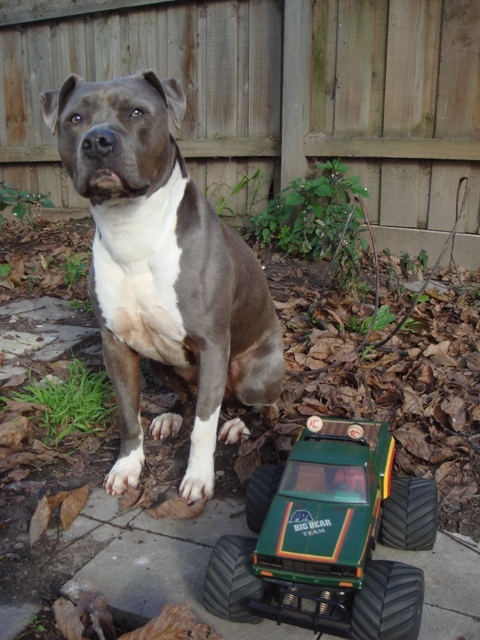 It' only a basic buggy but with the big wheels, it will go anywhere. I had one for a while, gave it loads of abuse and never broke anything. There is a tutorial on the main site of how to make one. I think?, I will have a look and post the link if I can find it. Hey mate, I have a couple of Big Bear tyres somewhere that I'll never use.... not new, but no use to me, as I sent all my BB stuff away a year or two ago. Happy to donate them to the project... what part of Melbourne are you in? HAHA, He's a BIG woosss!